GRANTS PASS, Ore. – A familiar face is taking the helm at the Grants Pass Department of Public Safety. Warren Hensman has been hired as the agency’s new public safety director. 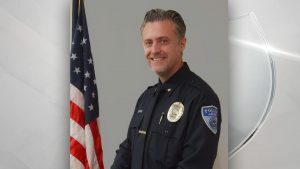 Hensman is currently the deputy chief of the Ashland Police Department. He’s been with that agency since 2010. The air force veteran also worked for police departments in Las Vegas and outside Atlanta, Georgia. Hensman will take over as director of public safety next month.